China Post launched its first Year of the Pig Chinese zodiac stamp back in 1983, with the design of a round, vigorous black pig penned by renowned artist, Han Meilin. The stamp won the hearts of many, including Dong Qi, who was just 5 years old at the time. What she didn't realize was that she later turn Han's designs into a new range of stamps. 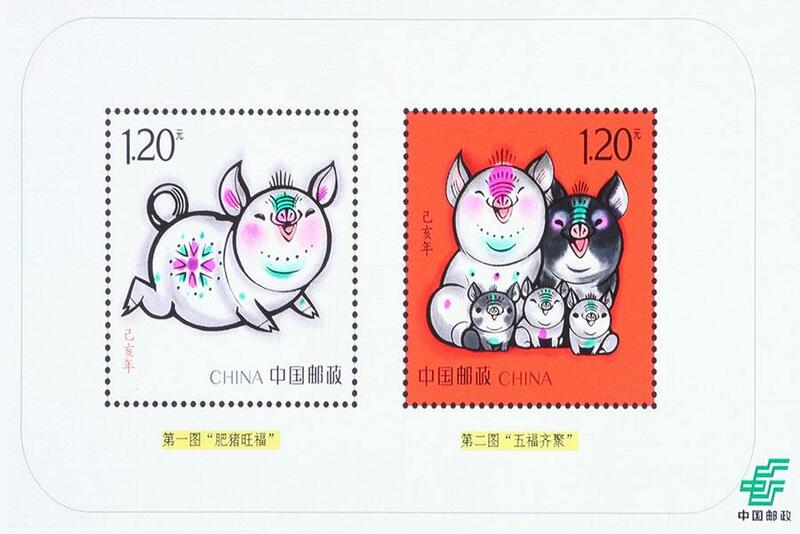 Dong, now a stamp designer at China Post, worked with her colleague Xu Zhe to hand carve Han's two stamp designs for the Year of Pig in 2019. The stamps began printing at the China Post' factory in Beijing on Monday, and will be officially issued in January. The set will feature one stamp an enormously plump pig symbolizing prosperity, and another stamp depicting a family of five pigs representing unity and happiness. Han, now 82, has been designing China Post's zodiac stamps since 1980. He also designed their Year of Rooster stamps for 2017.